Hey folks, Valkor here. So you just bought yourself a fancy, new Playstation 4 (Or XBOX One, but for this review we’ll stick with the PS4). And before you know it, you’ve already filled that included 500 GB hard drive (HDD) to capacity and now you’ve got a few additional titles you want to play – but you’re out of room. The easiest fix would be to delete some stuff, but which game gets the boot and which one gets to stay? 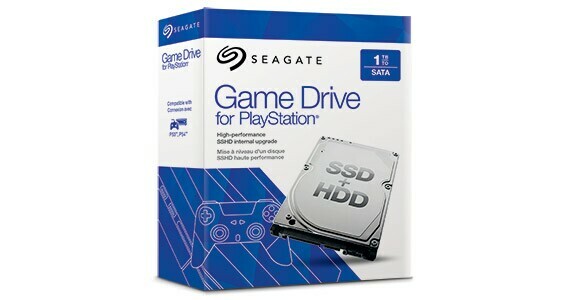 Enter Seagate who has just the solution for all your console storage needs with the Game Drive for the PS4 (also available for the XBOX One). 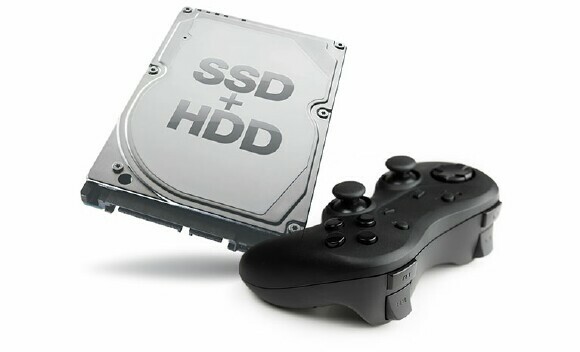 The PS4 Game Drive is a hybrid of SSD/HDD (or SSHD for short) of the 2.5” variety. That ultimately means it’ll fit just fine within either your PS3 or PS4, though installation is much easier with the latter. Just be sure to do a proper back up of your saves and/or titles you’ll want to hang on to (I’m looking at you P.T. fans). Once installation of the hardware and setup with the software is complete then you’ll be good and ready to install (or reinstall) some of your latest and favorite titles with the proper storage to spare so you’re not always wasting time removing/reinstalling items… at least until that drive fills up. The Game Drive touts one other feature not just an increase in storage or easy installation; thanks to “Adaptive Memory Technology”, you’re given a speed boost. In short AMT will track and learn which are your most used tasks such as starting up, coming out of hibernation or restarting a game, and push that task forward so it’ll run much quicker. That way you’ll be able to jump right back into the action when ready, spending less time looking at the load screen. Once my installation was complete, I tested out the Game Drive with two games that I wanted to dive into. The first was “The Vanishing of Ethan Carter”; I chose this game given the intense graphics of the Unreal 4 engine. Plus I just wanted to complete the game. The second was “Dragon Age: Inquisition”. I chose that one because it’s a good game and I wanted to get into it. But once all is said and done, it’s time to dip into the TOV Breakdown. Right off the bat, it’s a wise choice to invest in the 1TB drive that is Seagate’s Game Drive, simply because you’ll want that extra space especially if you're a heavy gamer. Sure the 500GB might be enough for some, but eventually you’ll need more storage space and Seagate’s got you covered on that front. Plus installation is super easy and you'll get right back into the action before you know it. And as for Adaptive Memory Technology, well it’s tough to measure since I don’t do benchmarking on the PS4. But I do have a stopwatch on my phone and I clocked how long it took to boot up to the main screen and to load the Ethan Carter game. From the old drive it took about 35 seconds to start up and 1min 35secs to load VEC. With the Game Drive, it was about the same to boot up, however 20 seconds was shaved off from loading Ethan Carter. Now that’s during my initial run, but I have noticed faster start ups from hibernation mode – almost instantaneous. With Ethan Carter, I finished the game in one sitting and it was a seamless ride, changing from scene to scene. And with Dragon Age, while I’m still playing it, it does load faster than my initial run; mind you the game doesn’t do a full install on the Game Drive, but I have been spending less time on the load screen when restarting and switching scenes. 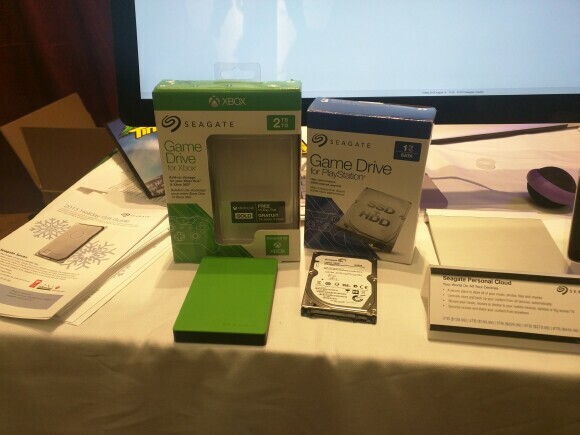 Overall, you can’t go wrong with Seagate’s Game Drive; if anything you’ll get more space to play around with, but the added boost in speed, it'll will take your gaming moments pretty far. Seagate’s Game Drive for the PS4 is available now, and if you’re interested in picking one up or learning more about it, then click that logo over to your right to find out more. The Game Drive is the “perfect drive” not just for expanding your storage space, but you’re also getting a nice boost in speed, improving your gaming experience all around. And out of TOV 5 stars, I’m giving Game Drive a perfect 5. And it’s been Valkor tested, TOV Approved!